Website designing is an art and design part is more of a style rather than coding. No matter how great you have coded but if the look and feel are not great, people will avoid it. In this post, we will discuss the top 5 elements of website design so that you can design a professional website easily. Or if you have an existing website, you should audit for these elements of website design to ensure the perfectness. If you will consider any modern website, it will have all the elements of website design we will discuss here. The site you will find will be responsive, have good color, proper layout and much more. Here are the 5 best elements of any website those you should follow while designing. It is not always the best theme but the customization you do works best. If you will look into the theme I use, I have done so much customization to make it look like it is currently. Let’s start and discuss some top elements of website design every designer and developers should take care. This will result in a good looking, highly professional website which will provide a smooth experience to the users. Usually, over 80% of websites on the web are made on some platform like WordPress, Bloggers, Wix, etc. And these website platform supports thousands of themes available. All you have to do is, select a good theme for your website and start building on it. You can also follow our how to select a good template for website guide to know more about it. The theme should look professional, have the functionality you look for and customization can be done properly. You can also check top AdSense ready WordPress themes if you are going to start a blog. Colour combination of a website must be good and eye pleasant. It is your online asset and you should keep it very professional. Sometimes just due to the bad color, people are unable to read some lines which result to the visitor loss. You want this to happen? Who will…? 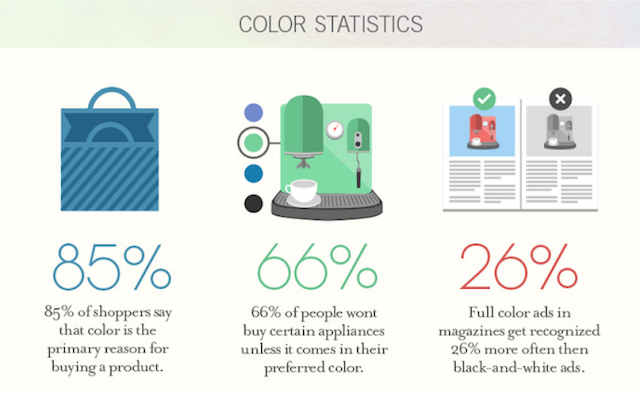 Here is a survey result showing how a color affects the website performance and visitor experience. • Analogous Colors: These are the colors which are adjacent to each other on the color wheels. When I say color wheels, it means the HTML colors you see on the website where distinct colors are distributed. Such colors are very pleasant to eye and cane be used wisely. You can see one example below. • Complementary Colors: These colors are opposite to each other’s and mainly used in pairs to draw the attentions of the users. You can use such combination for a call to action items on your website. • Monochromatic Colors: These are a different value of a single color and is safe to use. You can use such colors for the main website color and will work fine. So, while selecting the primary and secondary color for your website, you should think from a user perspective. The very next elements of website design are the font. There are hundreds of fonts available to be used but you should use the one which fits your theme and easy to read. You may find most companies using some custom fonts which makes it easier for them to serve their customers. In recent times, many custom fonts have come which is making the typography even more lucrative. You can go through the best Google fonts for the blog to know more about the Google fonts. You can also try the combination of fonts like I use at TricksRoad and it will work perfectly. The best way to find an amazing font for the website is to look on other’s website and see what font they use for. If you are working with web design company, you can ask them for the same. It’s a common term that an image speaks hundreds of words but that image should be good. A good image can only speak hundreds or thousands of words, not any image. You should use HD images as and where it is possible. Also, you should take care of the copyright issues. Many HD and custom images are paid and if you will use it without proper license or credit, you may face legal issues. You should avoid using licensed images. There are other ways to find free images on Google which you can use. Also, you can make your own images, using some tools. I have listed those tools in our Best blogging tools guide, which you can follow. 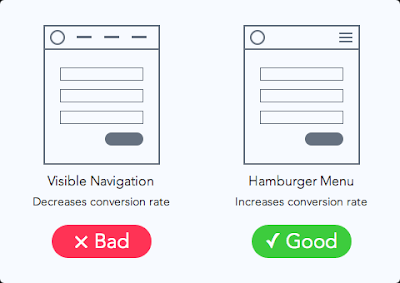 You should also ensure the proper navigation so that users won’t get confused where to go. Along with this, some important pages like About, Contact, etc. must be put in an order for others to connect with you and understand better. Again, the navigation you are using should be responsive and should work perfectly fine on all the devices. These were 5 best elements of website design for a professional looking website. If you are creating the website through custom code, you should also follow the minimum coding standard for better performance. Or if you are getting it created from some digital marketing services in India, you can convey the same to them as well. One should also focus on blog loading time to ensure the customer experience better while browsing. I will love to know your further thoughts on this.